We realise most people don't have time to read all the detailed legislation - life is just too short. So we have summarised the information to make life a bit easier for you. 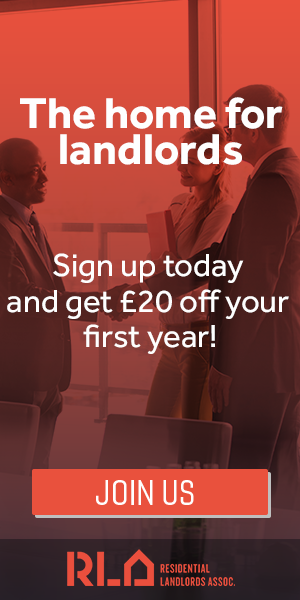 With over half of London Boroughs operating additional licensing schemes (as of January 2019) and with more schemes on the way, this is something all landlords and letting agents need to be aware of. So what is it all about? Well, each council has the power to introduce additional licensing under Part II of the Housing Act 2004. Additional licensing applies to certain Houses in Multiple Occupation (HMOs) that fall outside the scope of the mandatory HMO licensing scheme. So the first thing you need to decide is whether your property is an HMO. You could read the legislation itself (Sections 254 – 260 Housing Act 2004) although you may prefer the much simpler advice on the Gov.uk website. The HMO definition also covers certain buildings that have been converted to self-contained flats, so-called ‘Section 257 HMOs’. We’ll come back to that later as it’s a bit more complicated. Which HMOs need an additional licence? That will depend on exactly how the council has drafted the scheme designation. Some schemes cover the whole borough whereas others only cover smaller geographical areas. Each council will decide what type of HMOs need a licence. For example, Newham Council has included all HMOs within its additional licensing scheme subject to a small number of statutory exemptions. Whereas the additional licensing scheme in Hounslow only covers properties two or more storeys high occupied by four or more people in two or more households. When working out which are the relevant Building Regulations, if the conversion was completed before 1 June 1992, it should comply with Building Regulations in force as of 1 June 1992. If it was converted since 1 June 1992, it should comply with the Building Regulations in force at the time of the conversion. Are you still with us? Guidance from the government (DCLG, 2007) urges local authorities to adopt particular caution before deciding to include Section 257 HMOs within an additional licensing scheme. They point out that this legislation was never intended to regulate owner-occupied properties. It suggests that management problems in leasehold blocks should normally be dealt with through leasehold legislation. Which councils have introduced additional licensing? There is no central directory of property licensing schemes so you will need to contact your local council or search on their website. Unfortunately, we’ve found some council websites much more difficult to navigate than others so do check carefully. If your property is in London, you can click on the ‘Select Borough’ link above to check what schemes apply in your area – we provide this as a free service. We’ve mapped out the licensing schemes across every London borough to make your life a little easier! Can any council introduce additional licensing? 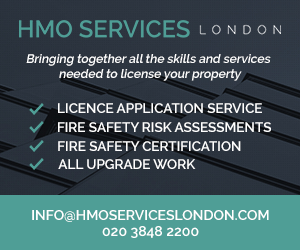 An additional licensing scheme can only be introduced if the council is satisfied that a significant proportion of the HMOs are being poorly managed and are giving rise, or likely to give rise, to problems affecting the occupiers or members of the public. The council must be satisfied that there are no other courses of action that might provide an effective remedy and that the introduction of a licensing scheme will significantly assist in dealing with the problem. So there is a lot of evidence that the council will need to collect before it can introduce such a scheme. Councils can implement an additional licensing scheme provided it meets all the requirements in the Housing Act 2004 and they have consulted with everyone affected by the designation for a minimum of 10 weeks. Are there any statutory exemptions? The property is covered by a temporary exemption notice. The property is occupied by just two people who form two households. If you find the whole licensing process a bit daunting and are based in the London area, we can help you. We offer a fixed price licence application handling service and you can find more information here. We have limited capacity and specialise in more complex cases. Several other companies offering a licence application handling service can be found in our Landlord Suppliers Directory here. Hopefully this has given you a useful overview of additional licensing. Remember, this is not legal advice and you may want to refer to our disclaimer below. If you are still unsure what it all means, you may want to contact your local council, seek independent legal advice, or contact us for further information.